Start off your visit on the 17th (Wed): stroll through Mindil Beach. To find more things to do, traveler tips, ratings, and tourist information, use the Darwin trip planner. Sydney to Darwin is an approximately 6.5-hour flight. You can also drive; or take a bus. In April, Darwin is a bit warmer than Sydney - with highs of 38°C and lows of 28°C. Finish up your sightseeing early on the 18th (Thu) so you can go by car to Jabiru (Kakadu National Park). Jabiru is a town in the Northern Territory of Australia. Kick off your visit on the 19th (Fri): see the interesting displays at Warradjan Cultural Centre, identify plant and animal life at Yellow Water, and then contemplate the long history of Nourlangie Rock. On your second day here, identify plant and animal life at Cahills Crossing and then don't miss a visit to Ubirr. For where to stay, traveler tips, and tourist information, read Jabiru (Kakadu National Park) journey planner. You can drive from Darwin to Jabiru (Kakadu National Park) in 2.5 hours. Alternatively, you can take a bus. Cap off your sightseeing on the 20th (Sat) early enough to travel to Litchfield National Park. 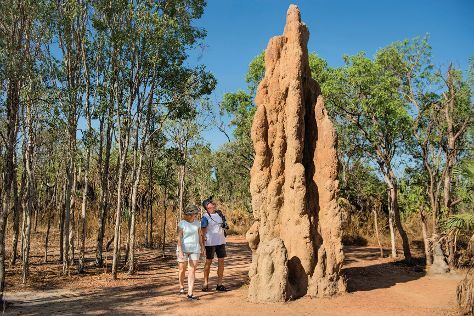 Start off your visit on the 21st (Sun): admire the sheer force of Florence Falls and then explore the striking landscape at Magnetic Termite Mounds. Make your Litchfield National Park itinerary with Inspirock to find out what to see and where to go. Explore your travel options from Jabiru (Kakadu National Park) to Litchfield National Park with the Route module. 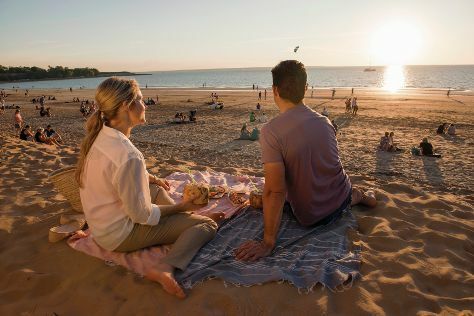 April in Litchfield National Park sees daily highs of 38°C and lows of 28°C at night. Wrap up your sightseeing by early afternoon on the 21st (Sun) to allow enough time to travel back home.